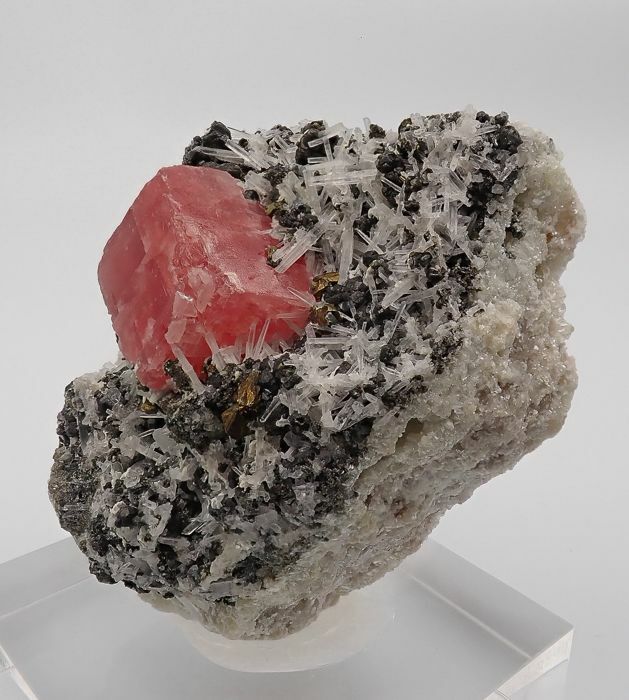 Sweet Home mine, Alma, Park County, Colorado, U.S. 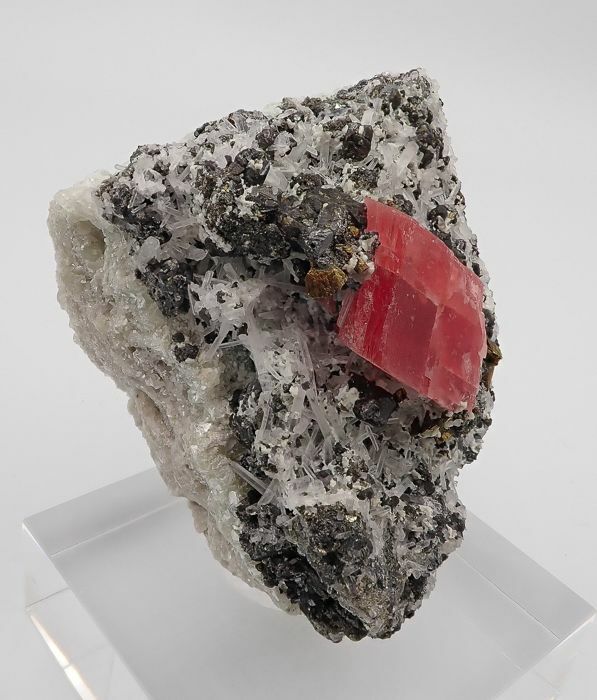 Outstanding mineral specimen composed of a very sharp rhombohedral crystal of Rhodochrosite measuring 2.5 cm x 1.5 cm. 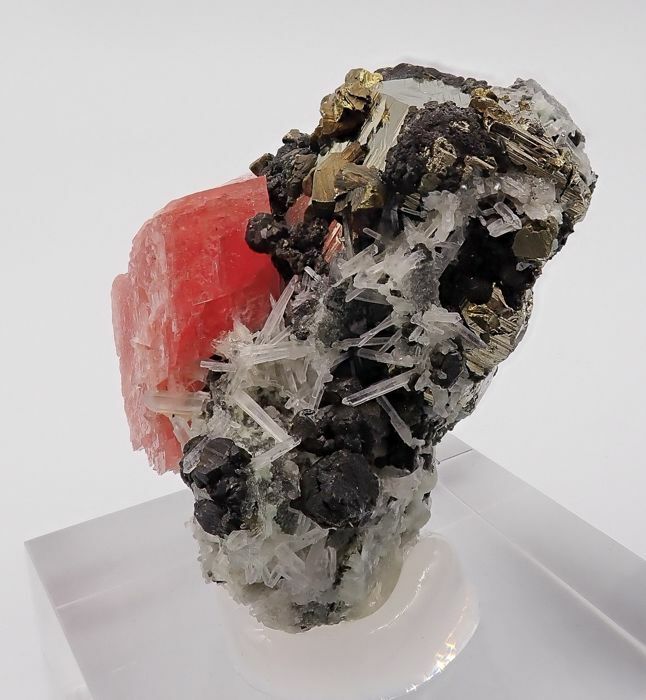 It is settled on a 7 cm x 5 cm matrix coated by Quartz, Tetrahedrite and Chalcopyrite. 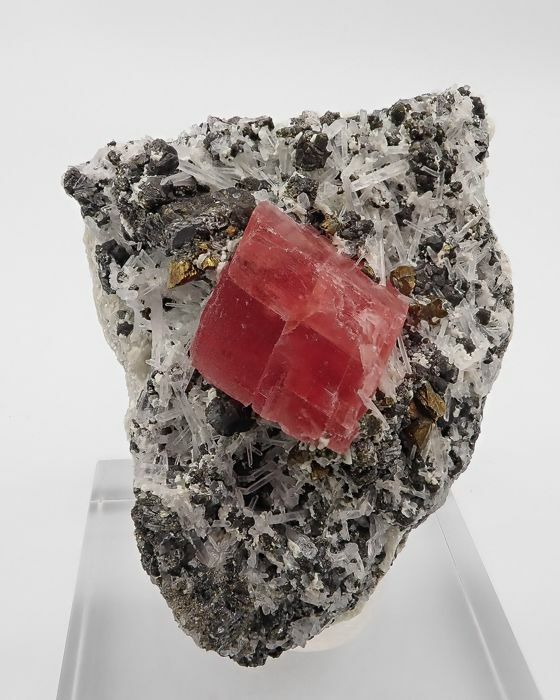 The Rhodochrosite crystal is in excellent condition, with excellent color. 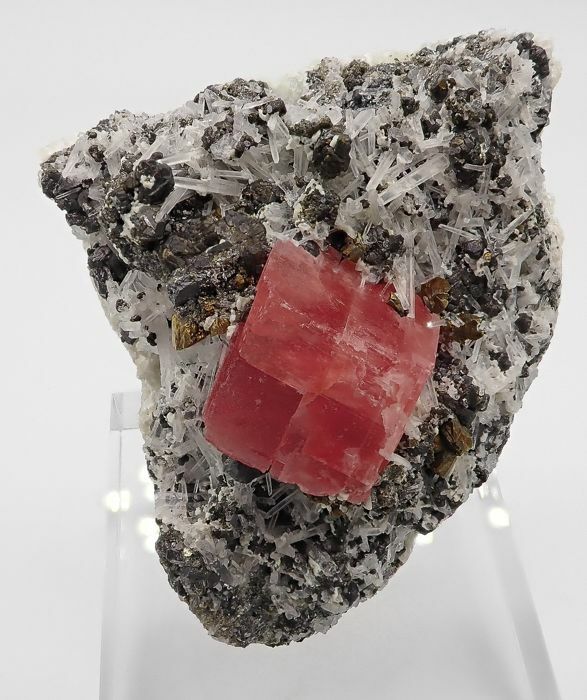 A high quality classic mineral coming from the world famous Sweet Home mine. 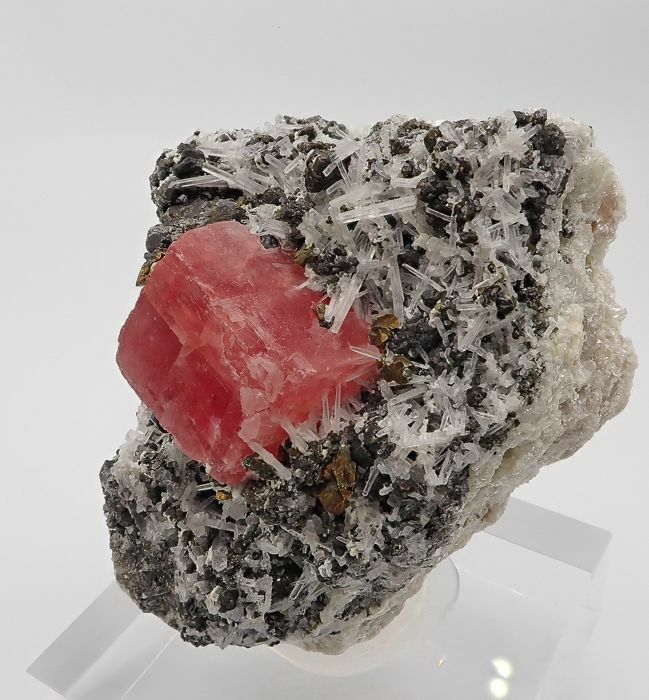 One of the most sought-after classic minerals by the collectors.